Corporate lobbyists enjoy widespread access to member state representations according to the first ever study on lobbying activities at national government offices in Brussels. The study, ‘National representations in Brussels: open for corporate lobbyists’ by the Alliance for Lobbying Transparency and Ethics Regulation (ALTER-EU), reveals how these government missions to EU institutions are a target for big business lobbyists looking to promote their agendas. Meanwhile, the report exposes the inadequacy of the current EU lobby transparency regime which is both voluntary and excludes lobbying directed at the permanent representations and the Council. The study shows that at least one in five lobby meetings at some national offices are with companies and organisations unregistered in the current EU register. 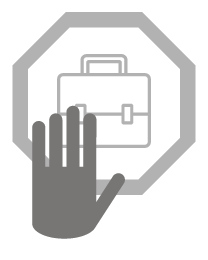 The research, based on access to information requests, also exposes the lack of record-keeping about lobby meetings by permanent representations which makes it difficult for citizens to find out with whom their governments meet on the development of key EU policies. Only four of the seventeen governments approached (Ireland, Romania, the Netherlands, and Poland) provided significant information on lobby meetings. 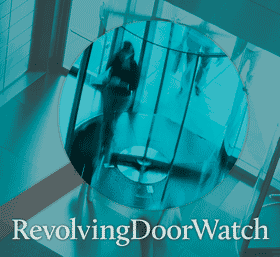 ALTER-EU is calling on permanent representations to avoid corporate dominance in their lobby contacts, and to record and monitor all lobby meetings. 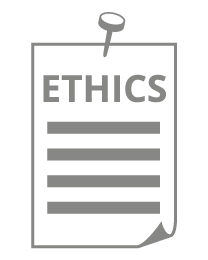 The offices should proactively publish quality information about all lobby meetings held, and only allow meetings with lobbyists that are on the EU lobby register. 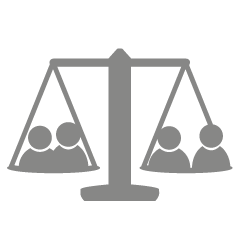 Permanent representations should be covered by a legally-binding EU lobby register which also includes the Council and European Council along with the European Commission and Parliament. 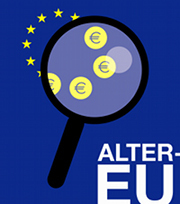 ALTER-EU is a coalition of over 200 public interest groups and trade unions concerned with the increasing influence exerted by corporate lobbyists on the political agenda in Europe. 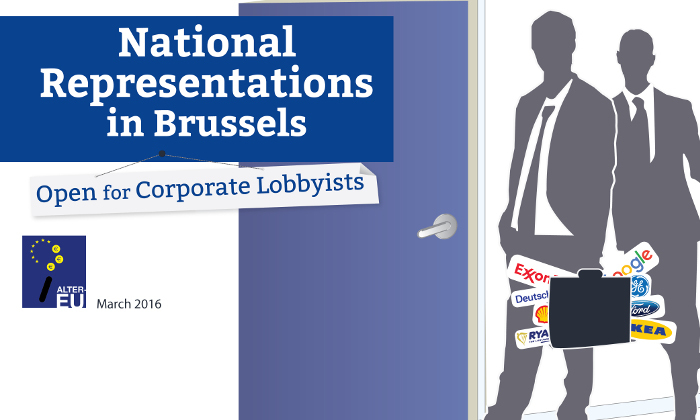 The report, 'National representations in Brussels: open for corporate lobbyists’: an open door for corporate lobbyists, can be found here. Ireland, Romania, and Poland replied with all or some information; while the Netherlands provided an ad hoc list of corporate lobbyists that it had met. Belgium, Denmark, Germany, Portugal, Spain, and Sweden said they didn't have any information; and the UK and Malta refused to grant access to any lobby information. Austria, Cyprus, France, Greece, and Italy didn't respond, despite repeated requests. Full details of the requests to, and responses from, permanent representations are available in the annex of the report. 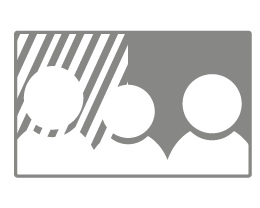 The lobby data received is accessible here.